For more information please contact me on 07462 332434 or email me via my contact me page. All the courses shown use the unique LD System of driving tuition. Details about each of these services is described below with advice on how to decide which service would best suit you and for the prices or information on how to book one of these courses please visit the prices page. 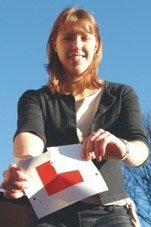 Learning to drive, using the LD System, can be spread over several weeks and lessons can be booked individually or in a block at a discount. Unlike the courses described below the LD driving skills videos and workbook are not included in the lesson price, but can be purchased separately. As an alternative to buying the driving skills videos you can rent them, for a nominal fee, directly from your local LDC instructor. For those who are nearing test standard and who just need a short burst of lessons prior to the test we have the Test Booster Course. It is also ideal for those who have had an attempt at the test some time ago but haven’t had any lessons since. The in-car training is 15 hours on a one pupil to one instructor basis. (This includes 2 hours for attending the driving test). You need to allocate a further 5 hours to complete the home study, using the LD System DVD and workbook, bringing the total duration of the course to around 20 hours. For those who have already learned the basic control skills of driving we have the Midway Pass Course. The in-car training provided is 20 hours on a one pupil to one instructor basis. (This includes 2 hours for attending the driving test). You need to allocate a further 5 hours to complete the home study, using the LD System DVD and workbook, bringing the total duration of this course to around 25 hours. The Semi-intensive Pass Course is identical in content to the One Week Pass Course (i.e. 30 hours etc) except the training is spread over two or more weeks to suit you and your instructor’s schedule. This is the most successful form of intensive training . It is designed for people who want to pass the test quickly but at a comfortable pace. The One Week Pass Course usually starts on Sunday or Monday and finishes on Friday. It is ideal for those who are in a hurry, who could not otherwise find the time. The driving test would usually be organised to take place at the end of the week or during the following week depending on your personal preference. If you want a test at the end of the course you would need to book the course and pass the theory test well in advance of the required start date (i.e. at least one month in advance). However, occasionally short notice driving tests can be arranged but the best option is to buy one of our Theory Test Products and pass this part as quickly as possible. The in-car training provided is 30 hours on a one pupil to one instructor basis. (This includes 2 hours for attending the driving test). You need to allocate a further 10 hours to complete the home study, using the LD System DVD and workbook, bringing the total duration of this course to around 40 hours. How many hours will it take? According to the latest Government survey people learning to drive in the UK buy on average 52 hours of professional driving lessons. From this you will appreciate it can easily cost you over a £1,000 to learn to drive and take up to a year to pass the practical driving test. With LDC's revolutionary LD System of driving tuition the average number of hours to pass the test is closer to 30 hours - a potential saving of up to 22 hours from the norm or about £450. This is why it is important to select the right driving school and training approach. Weekly lessons versus intensive courses? Taking just one driving lesson per week will help to spread out the training cost but you will end up paying far more in the long run and take several months to pass your test. This is because the first half of the next lesson is often wasted getting to where you were at the end of the previous one - thus it is like taking two steps forward and one step back. Also if you are taking weekly lessons without any clear targets to achieve or set test date to aim for the training loses any urgency and lessons tend to drift off course reducing its effectiveness even further. This is why intensive and semi-intensive courses are now proving far more popular. However, to do such courses successfully the training needs to be carefully structured and expertly delivered so that no time in the car is wasted - hence the development of the revolutionary LD System of driving tuition. The LD System isn't only useful for intensive training it enables weekly lessons to be conducted in much the same way with clear targets to aim for thus saving time and speeding up progress. The LD System DVD video and workbook also helps to overcome the "two steps forward one step back" problem of weekly lessons by allowing you to revise your last lesson while preparing for the next. This is particularly true if the materials are also properly used by a family member or friend to provide complementary practice in between lessons with your driving instructor.